Happy 9th birthday celebration – Day ONE! We have laughed a lot, we have cried happy tears and we have made amazing memories in these nine years. We have connected with you through our print magazine, our digital magazine, our Crop & Create events, through Facebook, Instagram, YouTube, Pinterest and our beautiful seasonal kits. You are a part of all that we do and for the next 9 days we hope you'll join our amazing team and our amazing partners who, like us, love to celebrate and LOVE to celebrate our readers! The very reason why we do what we do. Each day our team has come together with a fun celebratory project to share and our partners have provided a HUGE loot bag for one lucky reader each day. How fun is that? So thank you so much for coming, let's kick off the start of our 10th year in style and let's get this PARTY started with a free cute file from design team member Nicole Nowosad!!! "It’s time to kick off the birthday celebration and we have a fun birthday cut file for our loyal readers and fans! Just a little something to say THANKS and our birthday gift to you for supporting us! I tried to use a few different images from this fun freebie, so I went with a simple cake and candles for the win! 9th birthday loot bag – Day ONE! This fun prize package is filled with an assortment of goodies from our new spring collection-"hello sunshine!" The lucky winner will receive a 12 x 12 paper pack which contains one each of all 11 new double-sided cardstocks and a "this & that" sticker sheet, an icon sticker sheet, a sticker frill, a spring flower craft kit, spring glitter sprinkles, flower shaped sprinkles, fun flower doodle-pop, a 6×6 paper pad, one package of our new lime mini doilies and two rolls of washi tape! What a perfect way to scrap a sunshiny spring day! "Enjoy creating this Spring with a fun prize package of Scrapbook Adhesives by 3L® supplies! Wishing our friends Scrapbook & Cards Today a very Happy Birthday! Congratulations on 9 inspiring and amazing years! We look forward to 'sticking' with you for many more!!!" Thank you Doodlebug and Scrapbook Adhesives by 3L® for these amazing prizes to kick off this fun celebration! For an opportunity to win each day's prize package, just leave one comment (only one!) each day before 12:00 p.m. on Saturday, April 4th and on and on Sunday, April 5th we will announce all the winners right here. Good luck! We hope you'll join us for day two tomorrow! Happy Birthday SCT!!!! So happy you’ve been around for the last 9 years! Happy Anniversary!! Wishing you many more! Great spring issue to mark SCT’s 9th anniversary. Happy to celebrate with you. Happy birthday! 9 Years..why, you’re practically a new born! Looking forward to many, many more!!! Enjoy! And thanks for your generous “birthday gift” for your fans! Happy birthday SCT and many, many more. Congratulations on your 9th Birthday! How awesome! Thank you for offering such great give-a-ways! I love your magazine and all the fun up to date articles you feature. Thanks SCT. Happy 9th. I love all inspiration from the blog and magazine. Wishing you many more years of success. Love your designers and contributors, they keep me inspired. Thanks for the chance to win. Wish the postage was cheaper for overseas fans to get a hard copy of the magazine. Love reading the magazine on-line and being inspired by all the articles. Happy Birthday!! Great cut file!! Happy birthday to many more. Your a fabulous company. Congratulations! Here’s wishing you many more years of creativity and FUN !! Happy, Happy Birthday SCT! And what a fabulous loot bag. Live the sunshiny colours. And who couldn’t use more adhesives! Happy birthday and congratulations!!! I look forward to celebrating many more of these milestones with you. Happy 9th Birthday to SCT, such a wonderful magazine so full of ideas, info and inspiration. Can’t believe 9 years have past. WOW what a fantastic prize this is, the kit from Doodlebug is awesome and full of everything needed to make beautiful projects, and of course the most important item in any project, the glue from Scrapbook Adhesives by 3L. This is one sticky product and ever so reliable. Would love to win this prize. Happy 9th Birthday SCT and thanks for everything. Happy Birthday SCT!!!! You are all AMAZING!!!!! Wishing you many more happy years to come! Happy 9th birthday and thank you for the chance to win the supa-sweet prizes! Wow — happy Birthday to you! Love the card and its bright Spring colors! Can’t wait for the next 8 days! Thanks for 9 years of inspiration. I found you recently. Thank you for the opportunity to download the magazine for free! Happy birthday! I have all the issues and love them all happy birthday!!! Happy birthday SCT! Thanks for the cut files! Happy, Happy Birthday!! Love your magazine and all the free cut files!! Thank you for the chance to win this awesome giveaway!! Easy for me to remember, the same age as my granddaughter.! Love the magazine and have every issue. Happy 9th Birthday, SCT friends! Because of my stalkerish tendencies, I “accidentally” discovered Crop and Create (thank you, Catherine! ), have enjoyed every single issue till there’s a tab on almost every page to scraplift, and have made precious lifelong friends. All because of a single issue I was given at a store in Buffalo the first time I shopped there as a “gift with purchase”. I celebrate you practically every day! Happy birthday SCT ! I have started reading the new issue and while I haven’t read everything yet, it looks full of great inspiration! Thanks for the giveaways too, fingers crossed! Happy Birthday! Thanks for the amazing prize giveaway! Happy 9th Birthday!! Here’s to many more! ???? 9 years! Way to go!! Happy birthday SCT!! Happy Birthday and thanks to the prize sponsors. Happy 9th bday SCT…..awesome giveaway…thank you for celebrating with us. Happy 9th Birthday to you!! Great prize pack! Happy, Happy Anniversary!! May you have many more! You have inspired me to create on my best days, and even on my worst, so Thank You! I download the digital edition so that I can have it in my craft room to reference, and take with me to browse. I just love it! I Love everything you do SCT! Your team is amazing! Happy 9 th Birthday! Every issue is better than the last one!! I appreciate the time and effort your team puts into your events, kits and issues! Thanks for years of inspiration! And exciting. Love all your ideas that inspire me so! Happy Birthday SCT. Looking forward to the next 9 days. Whenever there is a celebration there is always amazing prizes! Today’s prize is no exception. A Very Crafty Happy 9th Birthday, SCT! Happy birthday SCT! What a gorgeous collection by Doodlebug to kickstart the celebrations! Happy Birthday! Here’s to MANY more!!! Happy Birthday SCT! You have given me so much inspiration! Happy birthday to you! Thank you for all the inspiration and beautiful creations. Amazing! 9 years of inspiration!! SCT I think you’re perfect – happy birthday! Happy 9th Birthday SCT .. and many more to come! Thanks so much for the free cut file that Nicole created. Her inspiration project is adorable! And also a BIG thank you to both Doodlebug and Scrapbook Adhesives for the great giveaway packages today … would be awesome to win! Happy Birthday SCT! I love having your print magazine right by my side when I am creating. Thanks for the inspiration! Happy Birthay SCT..so glad I found you! Got my first issue in the mail last week & am loving it. 9 years?!!! Wow, that’s amazing! Happy Birthday! Thanks for all of the great inspiration. Can’t wait to see what the next nine years brings. Congratulations on 9 successful years and hope you have many more! Love your magazines. Happy Birthday! I always look forward to each issue, it is the best scrapbooking publication that there has ever been. I just love Doodlebug, I have been an avid fan since their first release many moons ago. Congrats on 9 years! I love the magazine as well as all the inspiration on the blog!! Thank you for the free cut files! I appreciate those and all your generous giveaways! Happy Birthday SCT. Here’s best wishes for many more great years. Best wishes for many more creative years!! Happy Birthday! What a fun and wonderful event and fabulous prizes!! Super fun card with all the wonderful colors!! Congratulations on 9 terrific years!! May there be many more!!! Happy Aniversary and thanks for the opportunity!! Love the bright colours of the Doodlebug Design collection and who wouldn’t love more adhesive. Awesome way to celebrate. Love, love, love the magazine. Happy Birthday. Happy birthday – best wishes to many more happy, productive years. Love the spring issue. It arrived with my Crop and Create kit last week – already using the fantastic array of supplies. Happy 9th!! Looking forward to more great things!! Happy Birthday! Thanks for providing us with 9 years of inspiration. Congrats on 9 years! Loving the new issue… thanks for making it available electronically!! Happy Happy Birthday, and many more (great ideas) to come. Whoo hoo…..9 years! I always look forward to the inspiration I find in every one of your posts! Happy birthday, SCT! And what a great prize….DB always puts a smile on my face with their bright, fun colors and prints. And Scrapbook Adhesives products are all over my scrap desk (and in drawers, too)! Fabulous adhesives! Thanks for the chance to win these! HAPPY BIRTHDAY Scrapbook Cards Today. I have been along for the ride for the entire 9 years. I have all the magazines on my bookshelf. I go to them frequently for inspiration. Thank you for all the years inspiration and projects. Can’t forget all the giveaways too. Thanks for the opportunity to win these prizes. I have never won but it is fun trying. Thanks to the staff and designers for all their hard work over the years. Happy birthday!! Looking forward to the next nine!! WOW 9 years….where has the time gone. Whatever…it has been a very creative 9 years. Congrats! Happy 9th birthday and thanks for all the inspiration. Love your posts!!! Happy 9th Birthday!! Thanks for the endless ideas and inspiration. Happy 9th Birthday! Love those bright, beautiful colors and you can never have enough adhesive!! Happy Birthday to You !!! Happy Birthday to You !!! Love the card and the tilted cake. Happy birthday SCT and thank you for the chance to win! Happy 9th anniversary! Your issues continue to bring me such great inspiration. Here’s to 9 more fabulous years (& more)! Happy Ninth Year! I really love having you around. Happy birthday! Nine is my lucky number since I was born on the ninth day of the ninth month…..so happy ninth and thanks for the chance to win. Happy 9 years and thank you for all of your wonderful inspirations in your magazine! Happy birthday to you. It is wonderful to read your blog and your magazine. I love all that you do. great prize and thanks for a chance to win! Happy B.D. Happy 9th Birthday! I hope you are around for many more. Happppppppppy 9th birthday! Hoooooooray for so much fun and giveaways <3 THANKS for the chance to win! Happy Birthday! Wishing you many more inspirational years to come. Happy 9th!! And here’s to many more! HAPPY BIRTHDAY!!!! Here’s to MANY more!!!! Congrats and Happy Happy Birthday SCT! Terrific prize! I love Doodlebug!!!! Happy Birthday SCT! Can’t say I have been around with you for nine years, but the last year and a half have been fun . . . thanks for all of your inspiration! Happy, happy birthday to you SCT!! You totally ROCK and your giveaways are the best! Thanks for always giving us so much inspiration!! Happy birthday. Looking forward to many more. Happy Happy Birthday!!! Wishing you MANY more!! Thank you for all the inspiration!! Thank you for providing inspiration through a beautiful magazine. So rare these days! Happy 9th birthday, SCT!!! I love all of you and every single issue you produce … it all makes me happy, Happy, HAPPY!!! Thank you for the amazing inspiration you bring us through every issue of SCT, as well as nearly ever single day on this blog. Whenever “SCT” shows up in my inbox, I get a huge smile on my face 🙂 Thank you so much to Doodlebug and 3L for the fantastic prize package today! And BTW, happy spring!!! Such awesome giveaways and the Spring issue is AMAZING!!! Happy Birthday! I LOVE your kits and savor your magazine. There is nothing better than curling up with an actual magazine! Thanks for tje chance to win Doodlebug and Scrabook adhesives. I love ’em both too! Happy 9th Birthday Scrapbook and Cards!!! Congrats on your 9th Birthday. Thanks for the chance to win a collection of Spring goodness and the adhesives to put it together. Happy 9th Birthday!!! Thanks for the chance to win this fun prize package! Happy, Happy Birthday SCT! Such creative fun you have shared with the world! Thanks. Woo hoo! Happy Birthday wishes going your way! Happy 9th birthday . . . and many more! Happy Birthday! I am loving this magazine! I receive it digitally and enjoy each issue. Thanks for a great magazine. Happy Birthday!!!!!! and thank you very much,for all your beatifull things!!! Thank you SCT! Happy Birthday! Happy Birthday SCT! Thanks for sharing this cut file and goodie bag! Happy 9th Birthday, SCT!! Cheers to many, many more!! Thank you to Doodlebug and Scrapbook Adhesives by 3L for the generous Giveaways! Thanks for the great magazine, wish it came more often!! Thank you for 9 years of inspiring ideas .. I look forward to many more . Happy 9th Birthday SCT! I have loved reading your issues and this prize would definately be awesome to win! Thank you for the opportunity! Happy 9th Birthday, and thank you for all the continued inspiration! What a great card – so bright and cheery. Thanks for the chance to win a terrific prize. Happy Birthday! Happy birthday SCT! Thanks for the memories! Happy Birthday, SCT!!! Let’s celebrate your achievement and what a prize package. Doodlebug is so whimsical and cute and the adhesives are my favorite and I’ve used a ton of it over the years. Here’s to 9 great years! Love the new spring issue and the great prize pack! Happy Birthday SCT! What a bright and beautiful loot bag, great prize! Happy birthday and thank for nine years or inspiration. Happy Birthday, SCT. Looking forward to the next9 years. Happy Happy Birthday SCT!! Thanks for the fun giveaway!! Happy Birthday……just love you SCT…..get so inspired! Happy 9th Birthday! 9 years of AWESOMENESS! Happy Birthday SCT! Thanks for the chance to win. Happy birthday SCT! Love all the inspiration that you provide! 9 Years of incredible Inspiration – you are the reason the Scrapbook Industry in Canada Thrives!! Happy Birthday!! Happy Birthday SCT!!! Wishing you many more!! Happy Happy Birthday SCT! Always love reading your blog and your magazine over the years!! Happy, Happy Birthday SCT!!!!! I love the crafty inspiration in every issue. Thanks for the chance to win one of the giveaways. Happy Birthday SCT. Love the card . It is very cute. Thank you to the sposors for the amazing prizes. I love the papers from Doodoebug and would love to win it. Oh my gosh can’t believe 9 years Congratulations Happy Birthday! Can’t wait to see what the next 9 years bring. So glad you are here to share papercrafting inspiration. Happy Birthdays! Thank you for all the inspiration you provide. Just love today’s giveaway! Happy Birthday & may you continue to provide the crafting community with many more years of inspiration! Yay!! Congratulations on your 9 years SCT!!! Love your blog posts, craft inspiration and reviews, and giveaways! Wow, 9 years. I have been with you every step of the way. I won a prize back in the first year, I think. Love your magasine, as well as this blog. Happy Birthday and congratulations. Happy 9th birthday SCT & Thanks so much for 9 years worth of inspiration!! Looking forward to many more years! Happy birthday. Here’s to a great first 9 years and many many more happy years ahead. Congratulations! Before you know it you will be celebrating your teenage years! Love the issue. Lots of inspiration. I want to try so many things I saw, the “rainbow smile” first of all! Wow. 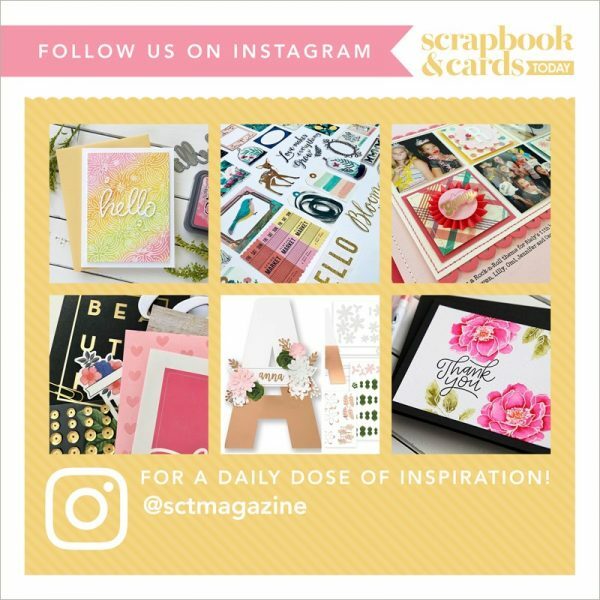 I love seeing all the inspiration on Scrapbook and Cards Today blog. Thank you so much! Happy Birthday!!! No birthday is complete without gifts and the gifts are wonderful!!! Thanks. Okay, that’s an amazing prize to kick off this celebration…Doodlebug is the BEST! Happy birthday! Spring is a great time to celebrate! Happy Birthday – Love prizes, thanks for the chance to win and thanks for 9 years!!! Happy birthday….thanks for these wonderful prizes!!!! Happy birthday to SCT! A new fan – don’t know what’s taken me so long! Here’s to another many years of inspiration and creativity! Happy Birthday SCT! 9 years is a lot! Happy Birthday! Thanks for the cut file and the inspiration. THINK SPRING!!!! Happy 9th birthday! Thank you for all you do! Happy 9th! Thar paper makes me think spring is is the air! Happy Birthday SCT and thanks soooooo much for the 9 years of great inspirations! Happy 9th Birthday SCT! Thank you for ALL your hard work and inspiration the last 9 years! I am wishing you many more to come! Thank you to all the great sponsors for their generosity and creative ideas over the years! A special thanks to Doodlebug and Scrapbook Adhesives for the wonderful prizes today that will be used to capture memories! SCT always brings sunshine to my door through your amazing magazine and a smile to my face through all the social media! Thank you and Happy Birthday! Happy, happy birthday! You, Doodlebug, and 3L are three of my favourites! Congrats on 9 fantastic years!!! Congratulations on 9 wonderful years! I love the inspiration you provide. happy 9th birthday, I am so happy to know you 🙂 I always look forward to each and EVERY issue 🙂 Congrats on a job well done!!! Happy 9th Birthday, SCT! I hope there are many more in the future. Happy birthday & continued success! Happy Happy 9th!! I can still remember getting my first issue of SCT at B&B Scrapbooks store in Powell, Ohio! 9 years and two cities later, I am still a huge fan and still receive the paper version – it is such a high quality magazine! Thanks for the inspiration! A very happy anniversary to you! I look forward to every issue that arrives in my mailbox! Wishing you many more years of inspiration! Happy Birthday! So thankful you are still around. Happy Birthday…I remember when you got things started. You are FABULOUS! Each and every one of you. Congrats on your birthday. Enjoy your magazine each month. Happy 9th B’day! Love Doodlebug and would like to try Scrapbook Adhesives by 3L. Happy 9th… And what a great way to start a celebration! Congratulations on nine great years! Happy 9th birthday!!! I went to your crop in BURNABY a few years ago. What a fabulous company. May you have a great birthday and thank you!!! Happy 9th! the one to grow on before double digits! Happy happy birthday!!! Love what the designers made and thank you to the wonderful sponsors! Happy Birthday! I love that Doodlebug package: such beautiful colors! I want it I want it I want it! Thanks for the opportunity to win. Happy 9th Birthday SCT!!! I look forward to your magazines, and I find inspiration in the pages each time! I love this issue. It’s chock full of new ideas! Happy Birthday and thank you–I can’t tell you how much I love getting your magazine in the mail. I treasure having a real scrap-booking magazine to hold and read (and reread!). Wishing you many, many, many more years! Happy 9th Birthday SCT and here’s to many more. Digital may be nice but there is nothing like having the real thing in your hands. Happy Birthday SCH I’m only found out about a couple of years ago , the work shop gave one of your free magazine and I been hooked ever since. so keep up the good work and all the wonderful ideals and products you bring to us everyday. thanks again and looking forward to the next great nine or more years. Awesome! Happy 9th Birthday…day 1 of the celebrations! What fun! Happy Birthday! You are wonderful! Happy Birthday SCT, may you have many more! Happy Birthday SCT! I hope there are many more! So glad I found you! Happy Birthday! So happy you are here, love your kits and magazines, thanks for all the inspiration! Happy 9th birthday SCT. It has been great getting to know all of the wonderful people who put this amazing magazine together. All the best for continued success and many more anniversaries. Thank you for the chance to win such fabulous prizes. Happy 9th Birthday! Thank you for celebrating with us! Happy 9th Birthday SCT? ? Have been around since your start & delighted to send you best wishes & con gratulations! And knowing how fabulously you gals celebrate I’m in & up for the next 9 days – Woohoo! Thanks for all the work you & your partners do to bring the best of everything in the industry to us readers. ?? Happy birthday 9 year old! Thank you for being here and thank you for the opportunity to win such awesome gifts! Happy, Happy Birthday to SCT! Happy Happy Birthday!!! very awesome! thanks for the inspirations, wish i had known about 9 yrs. ago. oh well, now is good! Happy Birthday! Thanks for 9 years of inspiration and fun!! Happy happy birthday SCT. Thanks for your dedication and inspiration over the past 9 years. Wishing you all the best! Wow 9 years and still going keep it up. Happy Birthday! Thanks for an amazing 9 years of inspiration! Happy birthday! Love your magazine as well as a chance to win one of the packages! Congratulations! Love your magazine! Keep the great issues coming! Happy 9th Birthday SCT. I am always excited to look through and be inspired by your great magazine. Here’s to many, many more. Birthdays and creative issues! Thank you! Happy anniversary and looking forward to the festive celebration! Happy #9! So much inspiration and color!!! You guys rock!!! Bonne Anniversaire, SCT! Maligayang Kaarawan, SCT!! Happy Birthday, SCT!! Here’s looking at you, ladies, for another 9 years and more!!! THANK YOU to all SCT sponsors for all the goodies that you give!! Happy 9th Birthday SCT!!! So excited to see the amazing spring colours of the give-aways! What a great way to celebrate!! A great BIG happy 9th birthday. Thanks for the opportunity to win BIG as well. Happy Birthday! Thank you for all of the inspiration! Happy Birthday and thank you for the chance to win! Happy 9th birthday!! Thank you for 9 years of wonderful creativity and amazing inspiration. You have helped create and share inspiration for so many during the last 9 years. Thanks for being a place I can turn to when I am feeling a little blocked and bland. Happy Birthday! I love your magazine – all the ideas are inspiring. Thank you! I always look forward to seeing your magazine. Great ideas. Thanks! Merci! Here’s to another 9 + years to come!! Happy Birthday! I just recently found your magazine and blog and am so glad I did! I have been following you since almost day one! It has been a fab time! Looking forward to the next 9! Happy 9th Birthday! I have totally enjoyed every single post and LOVE receiving your magazines and Planners! They really help me take my crafting to a whole new level of WOW with all the tips and finding about new products from you helps me decide what I NEED! THANK YOU! I look forward to another 9 years and more with you! Happy birthday. First day of spring, Crop and Create Moncton, and a birthday celebration! Happy Birthday SCT!! Thank you for the gift of your magazine! Love the happiness of Doodlebug products and the usefulness of Scrapbook Adhesives. Couldn’t do it without them! Happy 9th Birthday! Thanks for the prize chance. Happy Birthday! What fun project ideas and files!!!! Happy Birthday. Hope there are many more years to come. Happy Celebration week and 2! Looking forward to spending many more with such a Wonderful group of folks! Happy 9th Birthday SCT! There are 36 paper issues on my bookshelf, they are truly the most beautiful magazines! HAPPY BIRTHDAY SCT. here’s to another 9 years (plus) of incredible inspiration, fabulous projects and friendships. Your magazine & crops have inspired many new friendships and drawn us all into the SCT Family. Such a great way to start the celebration with the wonderful cut files and fabulous prize packages from Doodlebug and Scrapbook Adhesives by 3L. Looking forward to the nine days of celebration. Happy 9th Birthday. How times flies. What great prizes. Great companies. Congrats on the big birthday! Thanks for the birthday cut file and the chance to win the awesome prize! Happy bday! Off to check out the latest issue! Happy 9th Birthday with many more to come! Happy 9th birthday! Love your magazine. I Love Doodlebug, I use it on all my young grandkids scrapbook pages and scrapbook adhesives is a great product too. Would love to win this great loot bag. Happy 9th Birthday. Everyone behind the pages of this great publication deserve to party. Congratulations. oh my !! What a celebration. Happy 9th birthday 😉 Thank you for the chance to win. Happy Birthday and wishing you many more. Happy birthday!!! I wish you many more! By the way I love doodlebug. Happy Birthday SCT! <3 you. Happy Birthday SCT. I have loved your magazine and your terrific sponsors from day 1. Congratulations! I hope the partying behind the scenes is as much fun as the party you’ve prepared for us! I love your blog and every magazine issue is read front to back, here’s to many more years of that! Happy birthday! You’re a little older than my younger daughter and a little younger than older – a lovely age! This Doodle Bug prize would be great for all our summer memories from the months just past! Happy 9th birthday SCT! And many, many more. Happy Birthday! It’s my birthday, too! Thanks for the bright spot in my inbox each day! Happy Birthday SCT and as usual you’re giving to us to help celebrate – You gals ROCK! Happy birthday…so glad you are still strong and able to show us great inspriation! Happy Birthday!!! I am so excited for your success. Happy 9th Birthday SCT!!! Love you all! I’ve been a loyal follower for the past 9 years and look forward to the next 9! Best wishes on your birthday! Wow! Happy birthday! And what fantastic prizes! Happy Birthday!!! Thanks for a chance to win! Happy 9th birthday to a great magazine. Just picked up the latest issue which as always, is full of inspiration. Happy Birthday! Nine inspiring years. Would love to win a prize package and create beautiful cards. Happy 9th Birthday! Thanks for being so generous and sharing the goodies with all of us! Wishing you another 9 years of success!!!! Happy Bday!!! Mine was just a few days ago. Love having you to celebrate with!!! Happy, Happy 9th Birthday to you. Congratulations to Catherine and her team for all the hard work! Thank you also to Doodle Bug and Adhesives 3L. I love your products! Happy Birthday! So grateful for all the inspiration! Happy Birthday, SCT! Thanks for all of the inspiration! Happy Birthday SCT! I love the bright colours in the giveaway & I can always use more adhesives. Thank you for giving me the chance to enter the contest. Happy Birthday. What a great resource you all are. Happy Birthday SCT! You create an awesome magazine! Filled with inspiration and crafty goodness! Here’s to many more years! SCT is the best! From the blog to the magazine to the kits to the crop and creates. Been there, done it all and will do it all over again!!! Happy Birthday to Catherine and team!!!! Happy happy 9th birthday! Here’s to another 9 years inspiring us! Happy Birthday to the whole SCT team. Looking forward to the next 9 years of inspiration and fun! Happy anniversary! keep up the inspiration! I love your magazine! Thanks for the chance to win such a great prize! 9 Years!!! has it been that long already? I’ve been with you since Day 1. Looking forward to the next 9 and then some! Happy Birthday! And to many more! Y’all are great, thank you for the wonderful inspiration over the years! Happy Birthday!!! Thank you for sharing your creations. Happy birthday! Always my favorite place to go for inspiration! Best wishes SCT! Here’s to a great 10th year. Looking forward to it! Happy birthday SCT! As I write this we are also celebrating my baby’s birthday, Catherine Tachdjian! (Though she’s a little older than 9! LOL) It’s great to see that Doodlebug Designs has jumped right in there to celebrate with you (along with Scrapbook Adhesives) on your first day of giveaways! Beautiful prize pack! Happy Birthday SCT. Love the magazine. I always read it from cover to cover. Happy Birthday, SCT!!! Your magazine and sponsors are great! Happy Birthday to most amazing craft magazine (in print, on top of that!! )Here’s to many more!!! Love the Spring issue, cover to cover inspiration. Thanks for giving away presents on your birthday! Happy 9th birthday SCT! Thank you for the chance to win all those goodies! Happy Birthday SCT. Best wishes for many more years of inspiring paper crafters. Happy 9th birthday! Thanks for a chance at some awesome prizes! Happy Birthday, SCT! And may you have MANY more! LOVE your new issue (mine just came). Love your blog, love your prizes, love you. Happy birthday. Thanks for the invitation to celebrate with you! Happy, Happy 9th Birthday SCT!!! Wonderful 9 years, a very happy birthday to all you that worked so hard on the inspirations. Congratulations! The inspiration I get from every issue is amazing and keeps getting better all the time. Happy birthday! HB2U!! Love doodlebug and sb adhesives! Congratulations on 9 years. Here’s to 9 more! Happy Birthday SCT! Thanks for the great giveaways! Happy Birthday SCT!!! You do amazing Crop & Creates and a wonderful magazine! Happy Birthday SCT!!! Love your magazine and blog! Here’s to another great year! This is corny, but I don’t know what else to say that hasn’t been sad already! Day 2, Happy Birthday to you!!! See, told you it was corny! Fabulous spring issue and congrats on 9 Years! Happy 9th Birthday…and may you have many, many more!! Congratulations on your 9th anniversary! I have LOVED your magazine from the first issue. Happy 9th Birthday SCT. Thank you for filing the world with inspiration, ideas and creative projects. SCT is the total package from your fabulous magazine to your fun Pinterest page your never miss a step. Holy Wow, great prizes- the Doodlebug kit is full of everything a paper crafter would love and of course nothing gets assembled properly if your not using Adhesives by 3L. Happiest of birthdays SCT! What great giveaways you guys always do! Love both if these companies and would love to win! Thanks for 9 years of creativity and inspiration! Happy, Happy 9th birthday and congratulations on your success! Love Doodlebug designs, always so bright and happy! Scrapbook adhesives is the only adhesive I use, so could always use more! Thanks so much! SO MANY MAGNIFICENT MILESTONES – CONGRATULATIONS and HAPPY 9th Birthday SCT!!! Happy 9th Birthday! Here’s to many, many more! Thank you for the download, and the chance to win today’s great giveaway. Happy birthday and thanks for a great giveaway!! Happy birthday….my son Travis also shares this birthday….maybe that will bring me luck! thanks for a chance to win! Happy 9th birthday! What a fun celebration this will be!! Happy Birthday SCT! Have loved this magazine for so long! Thanks for all the hard work and dedication! Happy birthday SCT! Wishing you many more in the future. Great prizes from Doodlebug and 3L. I took the Doodlebug album class at Crop & Create and now I’m hooked on their products. They are so cute & coordinate so well together. A great magazine and 9 wonderful years. I am lucky to have been to your Crop and Create events. Keep up the great work. Thank you for 9 wonderful years! Looking forward to many more! Happy Birthday, can’t wait to see all the awesome prizes! Happy Anniversary and MANY MORE!!! Happy Birthday. Love the prize! What a fun prize pack!! I love everything Doodlebug! They have the cutest stuff! Happy Birthday SCT! You are my number one source for all things scrapbooking and I can’t wait for my new issue to appear in the mailbox. Thanks for the chance to win this great prize pack! and I love Presents even more! Happy 9th! Thanks for sharing all the pretty things with all your readers. Happy Birthday!! So happy for all the inspiration! Thank you for the years of inspiration! I would love, love, love to win this prize! Happy Birthday! love the prize for today. I sure could use it. So excited for SCT!!! What a tremendous achievement and what class and beauty you have added to the crafting world!!! What a great prize package to win!!! Happy birthday SCT!!! So happy to have celebrated so many years with you…look forward to the future! Thanks for all the inspiration!! Happy Birthday!! Thanks for being a part of our lives! Happy 9th Birthday SCT. Great start with day one. 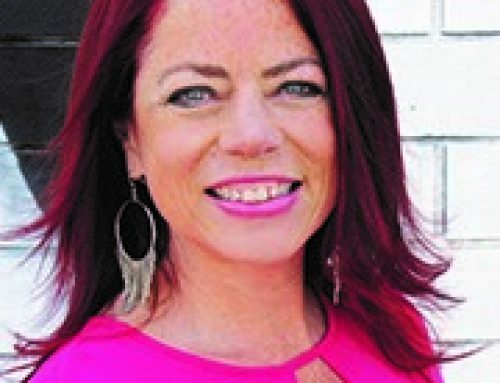 Thanks soo much SCT for 9 years of info and inspiration.Your magazine is amazing packed jam with fabulous projects.It meant a lot to me to be at Crop and Create in Moncton and to sing Happy Birthday to you?. There was so much love goin on in one room ? ?.Wishing you many more years of success . Happy Birthday to SCT and thanks for 9 years of great ideas. What a fun celebration! Happy birthday! You are my favourite scrap booking/card magazine! Congratulations on 9 years! Wow! I love the card you created. I could even see rickrack being used (I sew, and often mix paper and trim on my cards!) And the Doodle Bug pack is just up my alley – even has doilies!!! YESSS! I love to use doilies; there are so many ways to use them, too. As for the adhesives, I haven’t even seen most of them. Would love to try them!! Happy Birthday, SCT! Happy Birthday SCT! I’ve only been with you for a few months but I’d love to be here another 9 years! Happy, happy birthday. Thanks for the awesome giveaways and the cute cut file. I’m looking forward to another nine years +++ with inspiration and great ideas! Oh the inspiration that comes from all of these lovely things! I love giveaways! I just never seem to win. Happy birthday!! Happy birthday! Really enjoy the magazine. Congratulations and Happy 9th Birthday! Happy 9th birthday! Cute card too! Great start to the birthday party!! Happy birthday! And, thanks for the chance to win such awesome goodies! 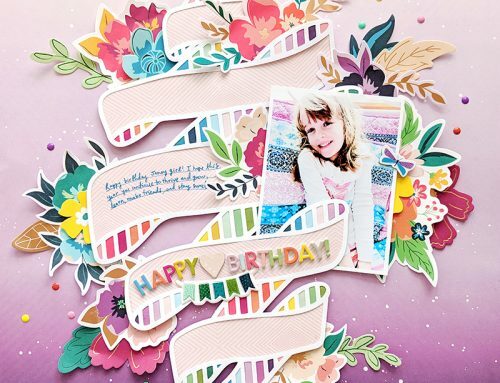 Great Birthday Card with the birthday cut file, Nicole Nowosad, it would be great to win the 9th Birthday loot bag from Doodlebug and Scrapbook Adhesives by 3L® ! Love the bright colors in this card. So pretty! Thanks for the chance to win and happy birthday!! Love the Doodlebug collection, the colors are great! I wish I could come to your crops! Maybe someday. In the meantime, I enjoy all the layouts etc. that you post. Happy birthday!! I love your magazine and reading your blog!! Thank you Doodlebug and Scrapbook Adhesives FOR THE AWESOME PRIZES!!! Happy Happy Birthday to you!!! Such an amazing prize pack giveaway!! Thanks for the chance to enter…and wishing you many many more birthdays to come!!! Happy Birthday! And thanks for all the generosity you have for us. Happy Birthday SCT! So happy to be celebrating with you! Here’s to many more years! HAPPY BIRTHDAY!!!! It’s my birthday too! Enjoy! I have been scrapbooking for over 10 years, guess you are not far behind me LOL Have a wonderful birthday celebration!! What more can one say that hasn’t already been said? Love your magazine and company. And, the people that work with you. I love the feeling of family and that you are Canadian. It feels like home! Happy Birthday SCT! So excited about this prize package, I love the Hello Sunshine line. Thanks for a chance to win. You’re 9! You’re not getting older, you’re getting better! thank you for the invitation to party! the craft room calls…. Happy birthday! Love the cover on your spring issue. Can’t wait to take a look inside. Happy Birthday SCT!!!! Thank you for all the inspiration and giveaways over the years!!!! Wishing you plenty of more inspiration in the years to come! Bonne fête S&CT! You guys are the best around!! Congrats!! Love, love the colors! Happy Birthday! Happy Birthday SCT! Thanks for all the years of inspiration! I fell in love with the 9th birthday loot bag. Both doodlebug and scrapbook adhesives have offered such great prizes. Thank you to S&CToday and Doodlebug and scrapbook adhesives, you are all great. Happy 9th birthday!!!! And many many more!!!? Doodlebug papers are so bright and colorful! Happy Birthday!!! Love this birthday card! CONGRATS & HAPPY BIRTHDAY here`s to many more !!!! Happy Birthday!!! I love all the inspiration that you have provided over the last amazing 9 years! I just love to see what is out there. Thanks so much. Happy Birthday SCT. And may the next 9 years be happier than ever! 9 years is amazing. Here’s to many more! Happy B’day to SCT and of course, sweet Catherine! Congratulations!! Thanks for hundreds of ideas over the years!!! Happy Birthday! Wishing you many more. Happy Birthday to You! Thanks to the generous sponsors! Thank you SCT .happy birthday.I enjoy all your lovely ideas. Happy Birthday!! Love the card you shared. Happy Happy Birthday! Love the fun colors of Hello Sunshine and who doesn’t need great adhesives? We all do! Happy birthday. Love the free cuts. Awesome card and givwaway. happy birthday to you!!! Thanks for the chance to win! Happy Birthday! Congratulations on nine years of fun and creativity! Happy Birthday SCT. Thanks for the chance. You all have the best birthday party ever!! Happy 9 th!! Happy Birthday!!! and what a fabulous Spring edition! Thanks for the chance at great prizes too! Fun celebration for your 9th! Many congrats to SCT! Love your magazine, and your blog. So much inspiration. Thank you for the get giveaways too. Happy Birthday. 9 years that is fantastic.I’m a new subscriber, I am so impressed with your magazine. The quality and design layout is fantastic. I’m already looking forward to the summer issue. Happy 9th Birthday! Love your magazine! Happy 9th birthday. Love all the inspiration from your magazine. I just subscribed and love looking through it. Happy Birthday and wishes for many many more! Love my Spring issue of the magazine. NINE wonderful,years of inspiring us all. Thanks for that, thanks for doing ?CROP AND CREATS in Moncton this year. Wonderful friends and good times. Congratulations on your longevity….quite the accomplishment given today’s industry. Great cut file….I really need to get a Silhouette. Thanks for the chance to win an awesome prize. I continue to be impressed with everything you do, SCT. Thank you! Great cakey bday card! Thanks for the 9 years and for this added boost of inspiration! Happy 9th Birthday!! These birthday gifts/prizes looks great! Love the colors in the Doodlebug loot bag, and one can never have too much adhesive! Happy Birthday SCT, and many, many more. Doodlebug is perfect for a birthday celebration, always such bright, fun colors. And no one can craft without scrapbook adhesives. Thanks for the great giveaways! Buon compleano! (Happy Birthday in italian) I’m so amazed at the prize package! Time flies when you are having more than fun! Congrats! Happy Birthday. Love the bright colours featured today. Happy 9th Birthday. Thanks for the chance to win these great prizes. Happy 9yrs of sharing great ideas, keep up the good work. Happy 9th Birthday to SCT!!! Wishing you many more! That was such a fast 9 years! I remember getting my first free issue at the local scrapbook store! Unfortunately, a lot of these stores have closed, which we can see from the directory in the back of 2006 issues. Ontario alone had almost 2 pages in the directory! Thank you SCT for such a great 9 years! Happy birthday to you , happy birthday to you…. Beautiful Card, congratulations on 9 years!! WOW! A fabulous & fun Birthday card!!! Happy Birthday SCT! Happy 9th Birthday…thanks for the chance to win these sponsor’s prize giveaways! Happy 9th birthday SCT and many more!!! Happy anniversary and congratulations! Thank you for the chance to win these fab prizes from your sponsors. Happy birthday great prize thanks for chance to win. What a great reason to celebrate! Nine years! Here’s to many more! Happy birthday, thanks for the great giveaway. Precious!! Spring has sprung at SCT!!! Wheeeeeeeeeeeeeee!! Thanks to all the loot bag sponsors and SCT…. HAPPY 9th and many more!!!! Happy Birthday!!! I love the festive card. Made me smile! Happy B-Day SCT! So generous. Thank you. Happy Birthday, SCT!!! I can’t believe nine years have gone by. Thank you to your team and to all your sponsors for all the inspiration and ideas. Happy Birthday SCT!!! You ROCK! Happy, Happy, Happy Birthday! Love the bright cheerful colors! 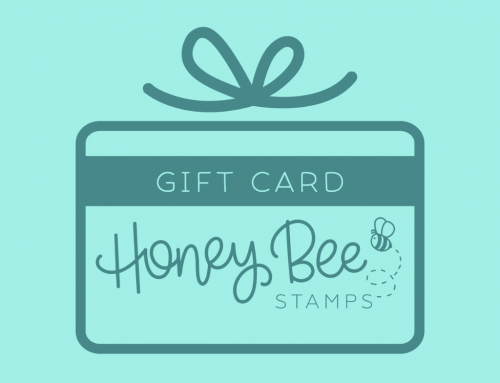 Love Doodlebug – thanks for the opportunity to win some of their new line. Happy birthday!Thanks you for the chance to win. Such beautiful, springy, refreshing colors! So glad to join another birthday celebration for SCT. That year went by fast. Let the good times ( and giveaways) ? roll! You are in your ninth year and I am just discovering you! Happy Birthday! Happy Birthday to you! Love the colors, we need Spring. Happy 9th birthday. Love your magazine and all your wonderful sponsors. Happy birthday!! Thank you for all of the inspiration! Happy 9 b-day great prizes ? Happy anniversary! Send the cutest card stock, stickers, and the best adhesive my way to keep the celebration going! Happy Birthday SCT!!!! Love the free cut files, will definitely be putting those to great use!!! Wow, just looking at the colors in that Doodlebug palette get me excited, and with the adhesives, the winner will have everything they need! Congratulations! Love all your projects! Happy birthday!!! What a nice way to celebrate! Happy Birthday!!!! Thank you for all your crafty inspiration!! Here’s to many, many, many more!!! Happy Birthday! Great magazine and great prizes! Thanks! Happy Birthday SCT! Thanks to Doodlebug and Scrapbook Adhesives for helping us to celebrate. Happy Birthday! I always love the ideas and creativity here! Happy 9th Birthday, so glad you have been here for us scrapbookers! Happy happy Birthday! Thanks for so much inspiration! Happy Birthday SCT! Thanks for the inspiration. Beautiful Brithday card!Could use more adhesives! Happy Birthday! Thanks for sharing your birthdays goodies with us! Happy Anniversary! Thank you for all the inspiration you have given us in the nine years. Its been awesome. Great month of birthdays (mine was March 3) – HAPPY BIRTHDAY! Happy nine years and thank you for inspiration. HAPPY 9TH BIRTHDAY and thank you for the chance to win the GREAT prizes! Happy Happy Birthday!! I LOVE the new spring issue and so appreciate the free cut file. Happy Birthday Scrapbooks and Cards today. I love your magazine!! Happy Birthday SCT! Wonderful giveaway! Here’s too many many more wonderful birthdays! Thanks for 9 years of inspiration and excellence. Thanks for a chance to win these great prizes. I’m so tardy! Sorry but Happy 9th!!!! You guys are truly amazing!!! HAPPY Birthday! Love that we can celebrate with you! Happy Sweet 9th Birthday, SCT! I am so grateful for my one remaining physical magazine that I can dog-ear from cover to cover. You are the best! Happy 9th Birthday! This is such a fun, festive, and fabulous card! Congrats! Wonderful prize package. Happy Birthday! Happy 9th Birthday SCT !!!! You gals rock !!!!! Happy Birthday! Thanks for the inspiration! C U T E Card!!! Happy Birthday! Love all the inspiration you’ve shared over the years. Keep it coming! Happy Birthday, thanks for the inspirations! Wow, 9 years and still going strong! Congrats and Happy Birthday to everyone at Scrapbook & Cards Today!! Your Spring Issue is awesome! Thank you for all of the fun and inspiration you pack into each and every issue. Happy Birthday! Have a wonderful time celebrating all of your accomplishments. PS Can the vibrant colours and designs of Doodlebug get any cuter?? Happy birthday and huge thanks for the fabulous giveaway!! HAPPY! Congrats on 9 years! What great partners you have in Doodlebug and 3L! Perfect timing for the Scrapbooking & Cardmaking world of inspiration! Thank you for guiding me all these 9 great years! Happy Birthday SCT, thank you for the daily inspiration & for the wonderful prizes. Congratulations on 9 years, SCT! The card is adorable! What a fun celebration – thanks to you, Doodlebug, and Scrapbook Adhesives by 3L for the giveaway! Happy 9th Birthday! Thank you for the opportunity to win! I am new to SCT! Looks wonderful! Happy Birthday and may you be blessed with many, many more great years! Congrats! You inspire me with your creativity! Happy birthday. What a great prize. I love doodlebug , and who couldnt use more adhesives. Thanks. Wow – congratulations on the huge milestone birthday!!! I visit the blog often and always come away inspired. What a fabulous prize to start things off! Thanks for the chance to win – here’s to an amazing year 10!! CONGRATULATIONS on your 9th anniversary!!! This giveaway is looking epic!! Thank you for the chance to win these great products!!! Happy Birthday! I love all the ideas that you share with us. Thanks and keep up the great work! Congratulations! Awesome projects and amazing inspiration! Thank you for the cut files. They look so awesome. Congratulations Scrapbook & Cards Today. Your inspiration is awesome. Love the video’s. Always a pleasure to read your magazine. Happiest of Happy Days!! Still my #1 mag! So happy each season to have a real, true blue magazine in my hands!! My only wish would be to have it every month!!! Always full of inspiration!! Happy Birthday SCT and thank you for 9 great years!! Thank you for your amazing inspiration. And Happy Birthday! Congratulations!! And thank you for the opportunity to win this incredible stuff!! Happy birthday! Thank you for all of the fantastic inspiration! I would really love to win these prizes. The colours are exciting and boy do I need adhesives! Happy 9th Birthday! Thanks for the years of inspiration. What a great 9 years you have had! I have loved your publication for years! Do enjoy your fun blog. Happy Birthday! And thank you for all the great ideas you always give us from you’re great magazine. Happy 9th birthday, S&CT! Looking forward to many, many more! Thanks to Doodlebug and Scrapbook Adhesives for sponsoring their great products for today`s giveaway!! Happy happy 9th birthday to you!!!! All the products you show here are just totally amazing! I could do some serious birthday scrapbooking with them all!!!! Thank you for 9 amazing years! It’s been great following all the great inspiration for 9 years. Millions of people have enjoyed your blog and I’m one of them!!! Happy bday!!!!!! Love the colorful materials, actually I made today cards with those colors, need more ;). Thanks! Happy happy Birthday? Scrapbooking has become a way of life for me and it truly does help keep one happy. Happy birthday -and many more. Love the lively colours. Happy 9th Birthday to you SCT! Have enjoyed so much inspiration from your magazine & blog. Look forward to many more years full of ideas and great examples. An amazing success story, way to go on 9 great years! Happy 9th birthday! Enjoying all of the inspiration on your blog. Happy birthday SCT! You never fail to inspire me through your pages…thanks for all you inspiration over the last 9 years!! Happy Birthday and thank you for the inspiration and chance to win! Happy birthday and thank you for all the inspiration to help paper crafting be such an awesome hobby! Thank you for 9 beat years! That should be nine years!!!! Oh what a great birthday surprise! Happy birthday! And thanks for bringing us 9 wonderful years! Wow, such a cute “Hello Sunshine” pack & adhesive too! Happy Birthday SCT. I just received my first issue of SCT. What a great publication. And here you giving to us. Who ever wins is very lucky. Happy birthday and thank you for the great inspiration! Happy Birthday! Thank you for all the inspiration over the last nine years. Happy Birthday SCT! Love your magazine and the inspiration it provides, not to mention the list of stores which has helped me when I am travelling and need a papercrafting fix! Happy Birthday to a great magazine! Happy 9th Birthday! Love all the inspiration. Thank you all for wonderfully beautiful inspirations. Hapy 9th Birthday and thanks for a chance to win these amazing prizes. Happy Birthday! Here’s to at least 9 more years. Thanks for 9 years of inspiration and 9 years of persevering when other magazines have vanished. Happy birthday! Thank you for your magazine. Congratulations on your success! here’s to many more years! Thank you SCT for being so inspiring! Love the magazine, congrats on 9years! Happy, happy birthday! Thanks so much for everything you do! Happy birthday! I am sad it took me 8 years to find you, but happy I did!!! Winning this package would be like celebrating my birthday. Thank you. Thanks for a great 9 years! Happy anniversary, Happy anniversary, HAPPY ANNIVERSARY! And many more! Happy Birthday! So much fun to celebrate with you! Wow 9 years of inspiration! Thank you for inspiring our creativity! Happy Birthday! Love your magazine!! I love all you do for your followers! HB! You are the best Catherine & Team! Happy Anniversary! So wonderful to have you still going strong and hope for many more years of creative inspiration! Love the card. So bright and cheerful. glad to have been with you from the start! congrats on 9 years!! Congrats on your anniversary and thank you for this great giveaway!!! Love, love, love Doodlebug and would love the opportunity to try Scrapbook Adhesives and of course, love, love, love SCT. Happy 9th birthday! so much yumminess 🙂 best wishes!! Happy 9th Birthday! I just LOVE your magazine and kits!!! I love your magazine, Happy Birthday! Great prizes! Such a great prize, Happy 9th Birthday! HBD SCT! the prizes you share with us are always fantastic! Thanks so much for a chance to win. I have loved your magazine for ever! You are a jumpstart to my creativity! Happy birthday! Never too much inspiration. Thank you! Happy 9th birthday. Love the inspiration you provide. Happy 9th birthday SCT!! You are amazing! Many more to come, please. So much fun going on. Thanks. Happy Birthday Scrapbook & Cards Today. Thank you for all the inspiration, ideas, and techniques you have provided a Newbie Scrapbooker! I wish you many more years of success! And thanks for the AWESOME Crop & Create you recently had in Moncton!! Happy birthday! Thanks so much for nine wonderful years of great scrappy inspiration. AWESOME prize package!!! 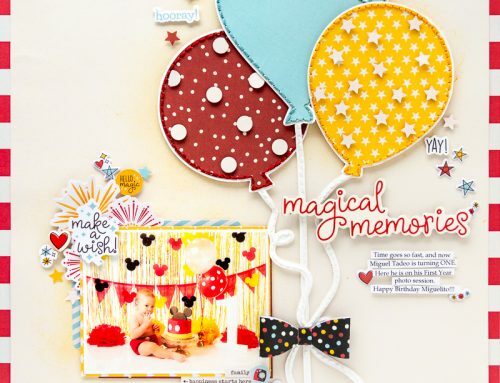 Thanks Doddlebug and Scrapbook Adhesives by 3L for sharing during the party! Happy 9th birthday SCT. Thanks for all you share! Happy Birthday! Love the magazine and everything that it does for the paper crafting community! Congratulations on your 9th! Thanks so much for bringing inspiration and yes, happiness to my world. I am fairly new to scrapbooking and card making and I have loved the chance to reach out of my comfort zone and try these projects. Wow! what great prizes. Would really appreciate adding them to my stash. Thanks for the opportunity to win and HAPPY 9TH BIRTHDAY SCT. Happy Birthday! I just joined your amazing club last year and can’t wait every three months to see what you bring us! I absolutely love all the kits! I brag about you to everyone in Arkansas and have already had several friends sign up also! Keep up the wonderful work! Bless your hearts! THOUGHT I HAD BEST LEAVE JUST ONE MORE BIRTHDAY POST ON APRIL 1ST, TO INCREASE MY ODDS OF WINNING SOME OF THE MOST GENEROUS AND AWESOME PRIZES! HAPPY APRIL FOOL’S DAY TOO! Happy Birthday Love the magazine and look forward ro receiving each season! BiG Congrats & Happy Happy Birthday!!! Happy Birthday! Hope to celebrate MANY more! Great prizes! Happy bday SCT! Love Doodlebug! Thanks for the chance to win! Happy birthday! What a fun card! Happy Birthday SCT! Thanks for all that you do! Happy Birthday….so glad to have you to help with creating great cards. Love your magazine!!!! What an awesome prize package. Thanks for a chance to win. Happy NINE years! whoohoo! Love this cover too! Off to download! Thank YOU! Happy Birthday! What a great magazine you have! I hope you keep inspiring us for many more years! Happy Birthday….Love all the inspiration I’ve received from you! Happy 9th bday SCT! Thank you for your inspiration! Happy 9th birthday! New to your blog and love the inspiration!! Woo hoo!!! Happy birthday SCT!!! And thanks so much for the possibility of winning some amazing loot!!! Doodlebug is an absolute favorite and I was just using some 3L yesterday! Congratulations on 9 years of success! Wishing you many more. Thanks for your years of fabulous ideas and inspiration. Happy 9th Birthday! What a cute card! Wishing you many more. Happy Birthday. Happy Birthday SCT! Keep the creativity coming! Happy Happy Birthday for 9 years! Happy 9th Birthday SCT. What an awesome prize. Happy Birthday, I love this magazine, can’t wait to make the Easter cards for friends and family. May there be many more years of celebration. Happy Birthday, and many more. Thanks for all the great ideas you cram into the magazine. Happy 9th Birthday & thanks for the inspiration! Happy 9th Birthday. Thanks for all the great info you have provided throughout those years. Congratulations and looking forward to the next 9 years! Happy Birthday SCT!! And thanks for the chance to win fabulous prizes!! Happy birthday SCT!! I’m so glad I found you! Happy Birthday Scrapbooks and Cards Today. I’m so glad it’s your birthday not only because you “strut your stuff” but you give us so much inspiration. Happy Birthday SCT – such a great magazine. Love all the fabulous inspiration. The card is awesome…love the colors! Thanks for the Freebie! Happy birthday. 9 years of a wonderful magazine, love it. This is a happy occasion! I love your mag and look forward to the new issues when I know they are about to publish. Happy 9th Birthday SCT! Thanks for the opportunity to win! Happy Birthday! Here’s to many more inspiring years! Wow,, happy birthday, thanks for nine years of awesomeness!!!! Congrats on nine years! Love Scrapbook Adhesives. Happy Birthday to one of my inspirations!!! Happy birthday & congrats on your many milestones. Thanks for the free cut file. BEAUTIFUL paper! There are so many things I could do with this, Doodlebug. 🙂 Happy birthday to SCT. And here’s to many more years of fun! Congrats on 9 years of fun! Thanks to all for sharing their creations and thanks for bringing them to us. Happy Birthday. Thanks for the cutting file. Happy birthday! Happy Birthday, wow such a great start for prizes. They look so great. I love all the bright colors on that card! The cake is too cute! And the gold flames on the candle are a nice touch! Happy Birthday! It’s been great. Happy Number 9! I am excited about your creative ideas as I am newly retired and just getting started on my own crafting journey. I will be looking to all of you for my daily inspiration, can’t wait to get started! Happy 9th Birthday, SCT. Thank you for all the wonderful inspiration throughout the years. Doodlebug is so fun. Congrats! Thanks for the chance to win. Love the latest issue! Happy 9th birthday SCT. love your magazine and all of the fantastic inspiration you share with everyone! Thank you SCT & the awesome sponsors today!! Happy 9th birthday, SCT!!! I LOVE your magazine! Congrats and happy birthday! Thanks for the giveaway! Happy Birthday SCT! Love the great inspiration your site and magazine has given everyone. Happy Birthday and thanks for the wonderful prizes! Happy Birthday SCT and thank you for all the amazing inspiration and ideas over the years! Love the magazine. Happy Birthday! Happy Birthday! Would love to win this prize, as I do not have anything like this in my scrapping supplies! Happy 9th Birthday! Thanks for the chance to win! Happy 9th Birthday and thank you for this fabulous file! Love the adorable!! Happy birthday, SCT! Looking forward to many more years with you! What a way to kick off the celebration! Thank you for the loot bags! I look forward to receiving my SCT magazine and the videos are really interesting and helpful to a beginner. Happy Birthday SCT here is to the next 9 years of creating memories. Awesome! Happy Birthday! Best wishes for many more! Happy Happy Birthday–9 years and doing such a great job!! Love the inspiration from this magazine. Congrats SCT! Nine years is awesome!! Thanks for bringing us all great inspiration. Happy Birthday and Congratulations. I’m so happy I just rediscovered your magazine! ?Happy Birthday! Wishing you many more years of inspiration!? Happy Birthday! Many more creative years ahead! Best wishes on a job well done!! Happy 9th Birthday! Love all the inspirational ideas over the years! I would love THIS givaway!!! Happy 9th Birthday to an awesome magazine! Love your ideas and layout! Happy birthday! Thanks for all the beautiful projects you bring to us. NINE years? Wish I’d found you sooner! I’m so glad there’s a good PAPER magazine (yes, I know I can read it online, but my preference is to hold the paper version in my hands and carry it around the house). Happy Birthday! 9 years you have been working at bringing us creativity!! Happy Anniversary! Love the spring colors!